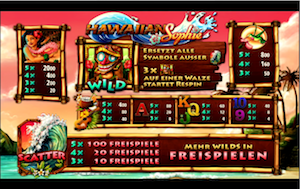 The latest game from German AWP producer Bally Wulff is Hawaiian Sophie, a game with a South Seas theme. One of its principal features is a wild symbol to give extra credits and respins and a scatter can trigger up to 100 free games. The fast-action game, designed for the German market, has many other wild and feature symbols on its three reels, with colourful animation and sound-effects.